December 5, 2016, Cincinnati, Ohio – Friends of the Adrian Dominican Congregation might recognize the names of two authors in the recently published book, Prayer in the Catholic Tradition: A Handbook of Practical Approaches. Sister Mary Catherine Nolan, OP, wrote the chapter on Marian prayer, while Sister Maribeth Howell, OP, authored the chapter on Praying with the Psalms. 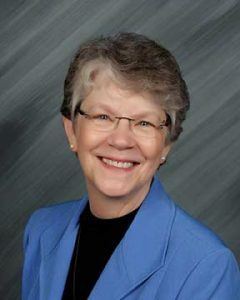 Sister Maribeth, Professor of Sacred Scripture at St. Mary Seminary and Graduate School of Theology in Wickliffe, Ohio, holds a PhD and a Doctorate in Sacred Theology from Katholieke Universiteit in Lueven, Belgium. 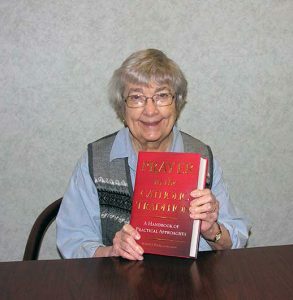 She said Robert J. Wicks, the editor of Prayer in the Catholic Tradition, asked her to write a chapter in his book. “I’ve known Bob for many years, and he and his wife are friends [of mine],” Sister Maribeth explained. Bob asked her to write about praying with the psalms. Sister Maribeth – one of the final editors and a translator for the psalms and Old Testament readings of Dominican Praise, a provisional book of prayer for Dominican women – noted that many people become familiar with psalms through praying the Liturgy of the Hours. The chapter in Prayer in the Catholic Tradition includes variations on this traditional prayer form, suggestions for varying a Vespers service for special occasions, and suggestions for praying the Liturgy of the Hours alone. Dr. Wickes also gave Sister Maribeth an overview of the book and asked for recommendations for other authors. “Automatically, when I saw reference to praying with Mary, I thought of Mary Catherine Nolan,” a scholar specializing in Mariology. Sister Mary Catherine earned doctorate in sacred theology from Dayton University’s International Marian Research Institute in 1994 and, in 2012, presented a paper on Mary and Islam at an international conference on Mariology in Rome. Sister Mary Catherine explained that her greatest task in writing the chapter on Marian Prayer was choosing what to discuss in very few pages. Sister Mary Catherine took a historical approach to Marian devotion, starting with the earliest recorded prayer to Mary, the Sub Tuum Praesidium – “We Fly to you patronage, O holy Mother of God” – and including popular prayers such as the Regina Coeli and the hymn, Salve Maria, sung after Vespers. One of her favorite Marian prayers is the Magnificat, Mary’s own hymn of praise during her visit to Elizabeth. Because of lack of space, she said, she omitted references to such broad topics as Marian apparitions.